FREE delivery service of wholefoods and organic food in Carmarthenshire, Swansea, The Gower and Ceredigion West Wales. We offer a comprehensive range of Organic Vegetable Fruit & Salad boxes through our online wholefood shop. In addition to our comprehensive range of wholefoods and fair trade products, we also sell online a full range of 100% organic beef, lamb, poultry and cooked meats. The contents of the vegetables boxes are altered weekly to reflect local seasonal availability. We use local producers as much as possible. All of our lamb and beef is sourced on farms in West Wales. 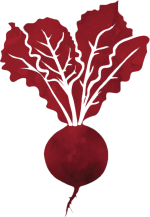 We are certified by the Quality Welsh Food Certification and nearly all our products are Certified Organic. 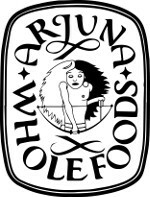 Arjuna Wholefoods is Cambridge’s original 100% vegetarian wholefood shop offering ethically sourced and appropriately priced organic artisan food and daily vegan lunch to take-away. They provide delicious food with provenance, suitable for vegetarians, vegans and allergies, often fairly traded. The company is a workers’ co-operative, fully and equally owned by those who work there. The person standing behind the till may also be a buyer, the company secretary or accountant. As a socially concerned business they donate a percentage of their profits and goods in kind to local charities and community groups. As Nature Intended is a high street retailer of organic food with a product range including fresh produce, meat, chilled goods, and alcohol. We have an extensive natural remedies department with expert advice from qualified advisors. Stores located in Chiswick, Ealing, Balham and Hale - see website for further details. The Watson family has farmed the 350 hectare Riverford Farm for over 60 years, more than thirty of which have been spent working to bring back the taste and quality of fresh, traditional food. We're doing this through our farm shops, with their butchery, fresh vegetable, grocery and deli counters, the organic vegetable box business and the dairy. All of these are separate businesses but have much in common. As well as name (until recently) and location, a shared belief in high quality, unadulterated, fresh food and good farming makes Ben’s Farm Shops and Riverford stand for most things that are good in the world of food and farming. They make world class pizza, one of the best in Bristol and beyond. It’s slow pizza. Yet fast pizza. They ferment the dough for days. At least one but typically more. No shortcuts. The Shop stocks more than 9000 different food and drink products alongside exhaustive range of fresh produce. It boasts streamlined aisles with incredibly well ordered stock. The deli is the latest addition to the business that provides delicious home style cooked curries and fresh snacks to the customers. As well as, it offers mouth-watering, authentic Indian sweets. 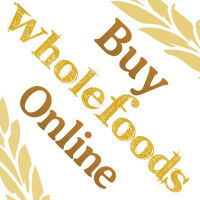 Buy Whole Foods Online is an international health food supplier, based in Minster, Ramsgate, North East Kent. They deliver top quality natural and organic wholefoods, and related healthy living products, directly to homes and businesses across the UK and Europe. Open to the public for lunches, coffees & drinks, cakes, snacks to be enjoyed in the unique atmosphere of the Create Centre. A buffet service is available for groups using the building for training, meetings & events. Cargo Cantina is inspired by the authentic Cantinas of Mexico, traditionally forbidden to women, children and men in police or military uniform, where hombres used to drink around the bar and have some botanas (bar snacks). The menu is complemented with tacos – an amazing street food we enjoyed so much on our travels. And in true Bristol fashion, everyone is welcome. Christine's Sustainable Supermarket is an environmental business to develop and support the planet and its people. At Dela they celebrate time spent sharing food and eating together. Their fundamental ethos is to support small scale, local suppliers and producers. Early Years Catering provides healthy, fresh and nutritious food for children. Earth Mother is a recently launched family-run business started by Siobhan and Chris Elsom, two years after becoming parents and discovering the amazing world of babies. Our mission is straightforward - to provide Irish parents and their children with the best natural eco-friendly products at the lowest possible price. If you find an item cheaper elsewhere, please let us know and we will match that price. We sell the highest quality products for mothers and babies without any hidden, harmful chemicals. We have tried and tested many products as our family has grown and we are happy to be able to share the best and most trusted here. Earthfare specialises in local, organic, vegetarian and vegan food; raw and superfoods; Fairtrade and non-GM products; natural remedies and supplements; chemical-free and cruelty-free body care products and much more!!! 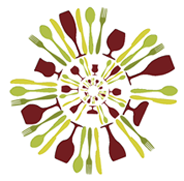 A bunch of nice people in a mission to spice up your event with delicious, healthy, nourishing food that doesn't cost the earth, using organic, fairtrade and locally sourced ingredients wherever possible. 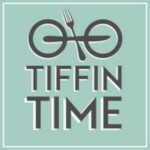 They specialise in vegetarian Mediterranean & Middle-Eastern food, with an authentic aroma and flavour, which will leave you feeling nurtured and satisfied. Eqo sources beautifully designed, well-made items which are consciously produced. Belongings that you will cherish and keep for a lifetime, using again and again, standing the test of time. At Ethical Superstore they’ve made it their mission to enable you to make feel good choices when it comes to your shopping. To help you make the choices you feel are right we bring together products sourced from all over the world and that hold the ethical credentials they know are important to their customers. 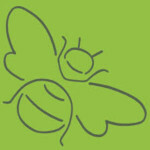 Specialising in fair trade, organics & eco products. Selling vegetarian & vegan ranges. Fairfield Farm College is a charity providing work experience for young people aged 16-25 with learning disabilities. Our farm shop is pleased to serve Dilton Marsh and the surrounding area with a wide range of groceries, fresh fruit and vegetables, homemade products, organic and fairtrade products, specialists in gluten free and vegetarian products, eco- friendly household products, plants, seeds, compost and much more. Our café serves organic and fairtrade tea, coffee and hot chocolate, cold drinks, light snacks, homemade cakes. Open Monday – Saturday. Fairfoods... delicious vegan and vegetarian catering for festivals, weddings, birthdays, meetings, marches/demos or for your freezer. Farmdrop is an online food delivery company that distributes foods to consumers that is sourced from local farmers and fishermen. 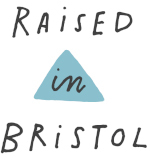 The company provides farm-to-table foods and fresh fish for consumers in the London, Bristol and Bath areas. ORGANIC SHOP. Specialising in organic meat, fish, local dairy produce, fruit and veg. A large selection of organic wines, beer and local cider available. A shop specialised in local fruit, fresh veggies, breads, organic and local food produces. Large selection gluten free products,. A long established chain of health food stores which have been trading for over 25 years. We are renowned for selling a wide variety of organic health foods, supplements, herbal products, natural skincare, cosmetics, organic wines, confectionery, chilled and frozen foods and much, much more including many of the more unusual products not generally available. We love cutting edge new products and ideas and with a finger on the pulse aim to bring you the latest products and trends before anyone else! fresh-range.com offers a fresh approach to food shopping for Bristol and Bath. Browse a wide range of foods and drink from producers in Somerset, Gloucestershire, Dorset and Devon. With lower food miles, no middlemen or need for huge depots, food costs less whilst producers earn more of the retail price. Friska team serve fresh fast food and speciality coffee. 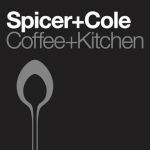 Their dishes are inspired from around the world and their coffee is directly sourced from farms thei know and trust. Fruits of the Earth in Bridport has been in the capable hands of Mike and Sue English for over 22 years. We like to sell good food and ecologically sound products and we also enjoy fine organic wines and beers, so we keep a good range! Please come and visit us. Village shop owned and run by the community. Affordable basics - Local produce - Dairy products - In store bakery - Wine and beer - Part- time Post office - Freshly prepared coffee and home-made cakes - Newspapers. Emphasis on local, direct, wholefoods, organic, recycling and green living. There’s nothing more exciting than finding a certain product on your local high street. Offering residents a variety of products at great prices. Greenlife, one of the largest independent healthfood shops in the Southwest of England. They specialise in the sale of natural products and remedies for you and your family including vitamins and minerals, natural health supplements, natural skin care, bath and shower products and organic herbal teas. You can shop here online or in our Totnes Town store. After 18 years of experience in our Totnes Town Store serving Customers with a wide range of vitamins, minerals, vegan & vegetarian healthfoods and natural remedies, we now offer these products & our expertise ... WORLDWIDE. Organic food store within a craft gallery in South Molton, selling natural food products, with an on-site weigh-house. Fair trade, local, and organic produce. Your natural and organic food and medicine store with speciality and dietary foods, supplements and remedies. Eco-friendly skin care and household products. On-site qualified and registered therapists with complimentary therapy room. An artisan bakery working out of a large Victorian railway arch at Temple Meads station in Bristol. They specialise in sourdough, handmade pastries, seasonal cakes and savouries. A diva among healthfood shops, Bath’s discerning shoppers have been enjoying Harvest in Walcot Street’s cornucopia of vegetarian food for over 30 years. With certified organic fresh fruit and vegetables, gluten free and dairy free alternatives and with not a GM ingredient in sight this is the place to shop with a clear conscience. You can help yourself to organic nuts, seeds and grains and dried fruit from the dispensing bins and stock up on your environmentally friendly cleaning products at the refill station where you can choose from toilet cleaner, multisurface, washing up liquid, clothes wash or fabric conditioner. 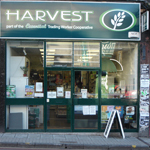 Harvest has a deli, which features a wide variety of fresh snacks, cakes and freshly made rolls and stocks fair-trade chocolates and coffees, as well as unsulphurated wines and organic beers. Since the start of 2008 it has been a carrier bag free zone and only offers more environmentally friendly alternatives in store. Retail and discount online supplier of vegetarian and organic foods, vitamins, herbal remedies, slimming and detox products, homoeopathic medicines, bach flower remedies, sports' supplements, aromatherapy oils, skin and hair care products, fitness equipment. Specialist store selling variety of products that are either green, recycled, organic, fairtrade or locally produced. Also delightful coffee shop plus lake, gardens and nature trails - a great place to visit. We are a small award winning vegetable box scheme . We work cooperatively and also prduce a range of other items using Essential organic products. Hopes of Longtown is an independent village shop and store, supporting its community, retailing local products, fair trade, teas and coffees, organic and vegan supplies, fresh fruits and vegetables and homemade cakes. The village shop is a not-for-profit, run by volunteers and a lively meeting place for all. 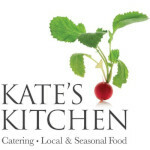 Kate’s Kitchen creates food that is good for your taste buds, tummy, wallet and planet. It is a consistently reliable supplier who provides well presented and delicious food. Kingsgate Wines & Provisions is in the heart of historic Winchester, close to the Cathedral and College, and has an enviable range of food and drink from around the world. Organic products have become a core feature of the range, although all sorts of food lines are covered, with daily deliveries of fresh bread and vegetables, and plenty to tempt the hungry shopper. Bottled beers and wines will look after your thirst as well, making this an excellent 'one-stop' shop. A small friendly retail outlet offering an extensive range of organic produce, local and fair trade goods, environmentally friendly household products, toiletries, plus some supplements and remedies. We cater primarily for the vegetarian/vegan market and carry a number of products free from gluten, wheat, sugar and diary produce. A home delivery service is available. Lembas is a vegetarian / vegan wholesaler based in Sheffield open to trade and non trade. An independent pharmacy serving the community for over 80 years. They provide a range of services and are excited to now be offering a flu and travel vaccine clinic. The pharmacy also sells a number of natural and environmentally friendly products. Maitreya Social is a vegetarian restaurant using seasonal, local and often organic produce. Award winning, innovative and modern with a unique blend of cuisine. Many dishes are dairy and gluten free catering for most dietary requirements. Each dish features a local star ingredient, often from our own garden where flavour and texture are paramount. The light airy and relaxed atmosphere of the restaurant, now in its 10th year, is in Bristol's bustling cultural quarter, well served by buses and trains, and only a few minutes drive from the city centre. Fully licensed, we also stock a wide range of quality vegetarian wines and drinks which represent excellent value for money. Organic fruit, vegetables and wholefood shop. Fresh juices and coffee. 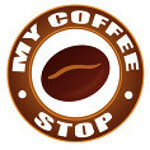 My Coffee Stop is an award-winning family run business. They select the best ethical, fair trade and organic products that they come across for their customers, which means their offering is a cross between products that the family enjoys and they can vouch for first hand and products that customers have recommended and come back to buy time and time again. Graham and Jacki would like to introduce you to Myriad Organics, which has been run as an organic vegetable and organic grocery shop for over 15 years and is situated in the picturesque market town of Ludlow in South Shropshire. NaturalGrocery.co.uk offers the healthiest and tastiest range of Organic and Natural products. See our site now and take advantage of our home delivery service. This wonderful cheery shop has almost ceiling high shelves filled with your every wholefood, a Mecca for high quality produce of all kinds, including foods for those on special diets - the fridge’s bulge with fresh organic fruit and vegetables. 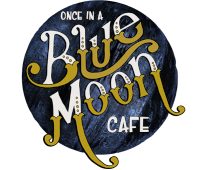 Once In A Blue Moon Cafe is a nomadic food & drink, music, arts and wellbeing space. We create a welcoming environment in which to relax with a hot drink and a bite to eat, take part in a workshop, learn from a talk, perform in our open mic or carry on the party late into the night! An amazing restaurant, full of tasty and deliciously dirty food! Our aim is to make shopping a positive experience by offering you the widest range of competitively priced products - the majority organic - all chosen for their ethical value, and knowing that an ever increasing number of people care about what they consume and its effect on the world. Our shop is bright and modern, our staff knowledgeable and friendly, and we can offer you the best shopping experience on your high street. Parsons Bakery shops have been making & baking for the people of the South West for over 100 years. They make and bake every single one of their delicious savouries, each loaf of bread and all the cakes and pastries in their craft bakery each day. 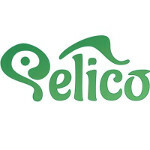 Pelico is an exciting Bristol based company with a mission to change the way we think about home delivered meals. Their vision is make nutritious and delicious food cooked from scratch available for delivery at affordable prices. Pelico's green values means that they deliver all their food by bicycle as they build their vision for a sustainable future. Zero Waste Shop selling a wide range of food and non food items. Helping people to live plastic free. Small award winning farm with farm shop selling own produce and local organic growers veg, apple juice, relishes, clotted cream. All dried goods supplied by Essential. Radford Mill is a 112 acre farm managed organically since 1976. The Cam Brook runs down the middle of the farm, and so does the Somerset Coal Canal! About 90% of the farm is grassland, and much of this is leased out to local farmers who use it for grazing or hay. Bringing you the latest offers from your favourite brands. Delivering expertise and excellence for our customers. We understand how important your every-day habits, diet and lifestyle choices are to your health. Our vision is not about creating a "new you", but to help you be the best you can possibly be. We are an independent wholefood grocery shop in Southampton, stocking a huge range of ethical, fairly traded and organic goods at affordable prices. We are a workers’ cooperative and pride ourselves on the friendly and relaxing atmosphere in the shop. Come and see for yourself how different your shopping experience can be! Award-winning farm restaurant. Since 2005, we’ve satisfied some serious appetites, from our lovely locals and holidaymakers to Gordon Ramsay and Giles Coren. Expect a feast of freshly-picked seasonal produce straight from our fields. Portions are generous and there’s plenty to go round. Just save some room for pudding! For your supplements, herbs and organic foods. Professional practicians on premises for your dietary needs. 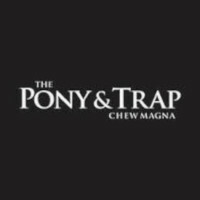 At Scoopaway, we specialise in Natural Wholesome Foods and Remedies for the whole family. Including natural Food Supplements and natural Body Care from head to toe. 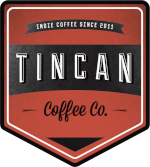 Organic and Fairtrade Teas and Coffee, Herbs and Spices and Chilled and Frozen Convenience foods. We also cater for speciality diets such as Vegetarian, Vegan and Coeliac.We strive to minimise our packaging and food waste by making our best selling lines available loose, enabling the customer to scoop as much or as little as they need. Single-use packaging free shop in Clifton Village. With our delicious range of organic and wholefoods, Herbert's Bakery breads, pastries and specialities. Not to mention our range of gluten-free, wheat-free, vegetarian and vegan products, or our mouthwatering and award winning local cheeses, olives and cold meats. An independent cafe in the heart of Bristol. We are a small and friendly Community Co-operative, run by the community for the community! 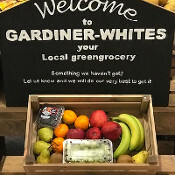 Stocking locally sourced fresh supplies and responsibly sourced organic fruit and vegetables as well as a wide selection of Essential wholefoods. Our shop carries a large selection of vitamins, minerals, herbals, homeopathic, essential oils and flower remedies. We also stock a wide variety of vegetarian and vegan foods, covering the broad spectrum of special dietary needs. The shop also offers a vast range of specialist teas, herbal and others, pulses, honeys, local artisan cheeses, award winning jams and pickles, locally smoked fish and eel products, cereals etc. This includes an extensive range of dairy free as well as gluten and wheat free products. As many as possible of these we source from local suppliers and provide links to their web sites in order to help you find that something special! If you are in the area please do visit and let us know how else we may help you. Sue's Pantry's friendly staff have a reputation for their knowledge, helpful assistance and advice. Our Useful Links page also contains information on local professional advisers. All the fantastic range that they have in the shop but avialable online. 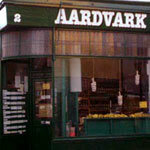 Is a friendly and well stocked store in the heart of a busy Market town in the New Forest. We specialise in herbal, mineral and vitamin supplements and food for special dietary requirements. Swindon Pulse Wholefood Cooperative began life in 1976 in true hippie fashion from the back of a Morris Minor van in Swindon's old market, it was the inspired initiative of two members of Lower Shaw Farm at a time when there were no other health food outlets in Swindon. The most important aims and objectives of Swindon Pulse were, and still are, to promote an affordable and healthy way of living, with minimal exploitation of people, planet, and animals; and to run a business on a non-hierarchical basis with consensus decision making, empowering workers to contribute as individuals whilst learning from each other. The Ark offers an easy way to buy all your favourite foods and more, offering quality products at value prices. Over 5,000 products are listed with more than half of them organic, and all either vegetarian or vegan. This huge range includes nuts, seeds, grains, jams, biscuits, baby food, toiletries, tea & coffee, juice, pasta, rice, green cleaning and lots more. The award-winning Better Food Company’s second outlet; the food hall and deli is set in the heart of Bristol’s foodie quarter on Whiteladies Road in Clifton. It aims to be a one-stop shop, providing customers with all the necessary staples like bread, milk, eggs and cheese as well as specialist vegan, vegetarian, wheat- and gluten-free foods, an extensive range of health and body care products, alcohol, sweet treats, and artisan gifts. Our Wapping Wharf store – the newest of the Better Food family – is located close to the Harbourside and SS Great Britain on Gaol Ferry Steps, joining South Bristol to the city centre. Liek our other stores, it’s full to the brim with organic fruit and veg, groceries, health and bodycare, ethical household goods, organic beer (lots of it) and wine. This store has the added bonus of a sunny outdoor terrace adjoining the café, perfect in the summer. The café serves all kinds of organic treats. We have brunch and lunches to have in or takeaway, fresh juices, teas and coffees. Because we know the importance of elevenses, you’ll also find a selection of delicious cakes and snacks. The award-winning Better Food Company has been working hard since 1992 to promote the cause of local, organic and ethical food. They fight tirelessly for fair trade, valuing customers, suppliers and staff alike. The original big shop and café is situated in St Werburghs and aims to be a one-stop shop, providing customers with all the necessary staples like bread, milk, eggs and cheese as well as specialist vegan, vegetarian, wheat- and gluten-free foods, an extensive range of health and body care products, alcohol, sweet treats, and artisan gifts. We aim to keep to costs down where we can, so here where we have the space, we encourage buying in bulk, we’ve a growing scoop section and a refill station for all your household cleaning needs. They take deliciousness seriously and aspire to the Slow Food philosophy of “good, clean and fair” – food that’s delicious, with no nasties and a fair price to producers. Their constantly evolving menu includes a range of vegetarian, gluten free and vegan options. 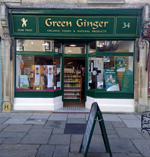 The Green Shop in Midsomer Norton has been established for over 20 years. We sell a wide range of organic whole foods, confectionery, herbs & spices, traditional reusable cloth & biodegradable nappies, vitamins, minerals, homeopathic remedies and natural pet food & supplements. We have a spacious Coffee Shop selling the highly acclaimed Drury's Coffee and a Smoothie Bar to help towards those five a day. Both are available to enjoy inside, outside or to take away. We also have a Treatment Room offering a wide range of therapies or treatments for yourself or a loved one. Situated in the historic market town of Devizes, The Healthy Life Company is a health food shop and therapy centre offering organic vegetables, lots of organic and fair-trade packaged products and various holistic treatments. We are an independent shop selling organic ingredients, eco-friendly household products and toiletries. We also stock locally produced crafts including home made pickles and preserves, hand painted vintage furniture, needle craft, jewellery, cards, gifts, vintage finds alongside fair trade homewares. The Wild Food Company is an independent, family run health & whole food store located in the town of Malmesbury in the southern Cotswolds, Wiltshire. We stock a large range of artisan products, organic & free-from foods, supplements, natural chemical free body care, cosmetics and environmentally friendly household products. We are licensed and offer a great range of locally produced craft beers, wines, ciders and spirits. Since starting out in her tiny flat kitchen with a trusty set of pans and a fold-away table, Katie has expanded her range of meals into an inspired menu of flavour-packed pots to be shared and enjoyed by all of Bristol at lunchtime. At the Trading Post we are passionate about supplying local people with our own, organic and local produce from the South West. We stock a wide range of products in our farm shop, from home grown organic fruit & veg to local goods including dairy, bakery, preserves, meat, fish, poultry, fairtrade goods and much more... With our Railway Carriage Café next door with beautiful views of rural Somerset & ample car parking you need never shop anywhere else!! The True Food Co-op is a not-for-profit community shop in Reading, Berkshire which sells local, ethical, wholesome and organic food, such as fresh fruit and veg, bread, wholefoods, chilled and frozen ranges and environmentally household goods and toiletries. The only shop of its type in Reading. Oxford's oldest wholefood shop, established in 1974. Stockist of organic vegan and vegetarian foods. Lovely healthfood store and deli, good for special / alternative diets. Among other things they stock organic salads, cakes and bodycare products. Opening hours: Mon-Fri 10-6; Sat 9.30 - 5.30. Organic Foods in Llandridnod Wells If you are looking for a healthy alternative to modern growing techniques, or are a vegetarian or vegan, then Vans Good Food Shops is for you. 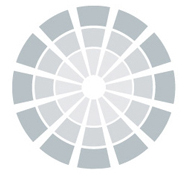 We are a well established business with a comprehensive range of products and services. Widcombe Health Foods specialise in a range of vegetarian and organic produce including pulses and dried fruits. They also sell a selection of vitamins and supplements. Nestling down a side-street off the Blackboy Hill and deceptively small from the outside, is an Aladdin's Cave to gladden the heart of the most discerning eco- and health-conscious food shopper. Here you'll find everything from award winning organic breads, a huge selection of ambient, chilled and frozen foods, organic wines & beers and lots of deli products. Plus an impressive range of food supplements, skin care products, herbs, homoeopathic remedies and aromatherapy. Particular care has been taken to select only certified organic and GMO-free products wherever possible. More like an extensive grocery than a health store, Wild Oats carries what is possibly one of the most comprehensive stocks of natural foods and other goodies in the region. Willow delights the vegetarian palate and attracts those of another persuasion to join this steadily growing bandwagon. The fully vegetarian and vegan restaurant in High Street, Totnes has become a popular destination for customers to sample hand prepared dishes created by making best use of seasonal and local produce. The lovely little walled garden could be just the place to enjoy a glass of fresh organic juice on a sunny morning. Wholesome and straightforward dishes are served by friendly and helpful staff and the prices are reasonable considering over sixty percent of Willow's purchases are organic. All pulses, grains, flours, pasta and sweeteners are also organic as are many of the vegetables, dried fruits, nuts, seeds, dairy products, herbs and spices.